The state’s ballot question on Nov. 8, 2016 legalized recreational marijuana for individuals at least 21-years-old. While that vote raises many ethical questions, it also raises some not-so-obvious questions pertaining to residential sales and rentals. Though we are just scratching the surface, here are a few items for real estate agents to consider. 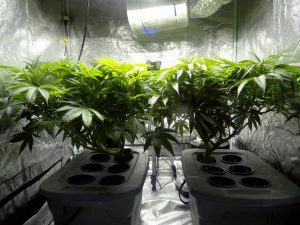 Should you forewarn clients who are viewing homes with marijuana growing systems? The idea of marijuana legalization is controversial and a growing system in the home might be enough to turn off potential buyers. Do your buyers have children with them during the showings? They may not want to expose their children to marijuana. Do your buyers find the odor of the plants offensive? Do you need to disclose to potential buyers the fact that there is a growing system set up in a home, given the possibility of mold, exposed wiring, over-loaded electrical outlets, and poor ventilation? Most current residential leases do not have specific provisions dealing with marijuana use. Through lease agreements, landlords have the ability to regulate the smoking and cultivation of marijuana in rental properties. Landlords must determine their policies and get lease riders in place. If tenants begin growing and cultivating marijuana plants, how will that affect the use of electricity and water? Will those utility bills increase a great deal and who will foot the bill? Time will tell exactly what affect the new law will have on the real estate industry, but we think it is safe to say that its impact will be significant.